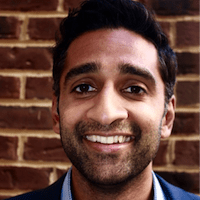 Nikhil Gehani is the Marketing and Communications Manager at MIX, a nonprofit data analytics organization that promotes financial inclusion through data and insight. Before joining MIX, Nikhil worked in the impact investing and social enterprise fields while earning his MA in International Development from the George Washington University. He has over 7 years of experience as a marketing and brand strategist across the private, public, and nonprofit sectors. Nikhil also holds a BA in Marketing from Michigan State University. Many financial service providers look to technology to enable new means of distribution and achieve universal access, but agent banking remains the most commonly deployed alternative delivery channel today – and arguably the most effective. To achieve scale, the authors say, providers should analyze each channel and develop the right strategies for their desired business and social outcomes. A webinar set for Thursday is designed to help. India is currently home to 21 percent of the world’s unbanked adults, a problem the government is addressing through its ambitious financial inclusion plan. Ensuring that this and other efforts are effective requires a detailed understanding of the distribution of financial service access points, through granular, subnational data. MIX has created a custom tool to provide this, and Nikhil Gehani describes what it has found. The era of “big data” has fully arrived in the financial inclusion industry. But while existing data platforms are beginning to fill the gaps in national measures of inclusion, this information may not reflect the situation on the ground. That's why the next iteration of financial inclusion data needs to drill down to the subnational level to increase clarity around financial service access, usage and quality.